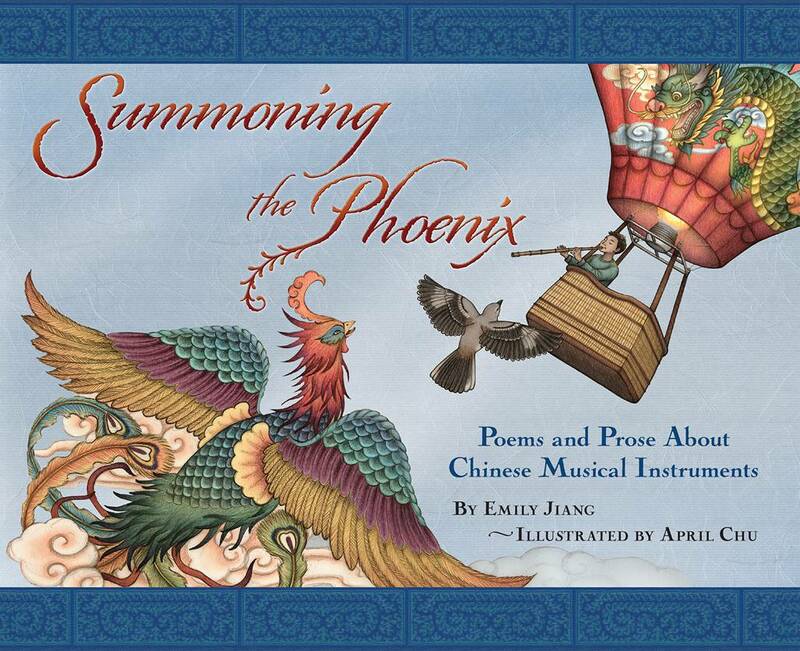 Emily’s children’s book Summoning the Phoenix: Poems and Prose about Chinese Musical Instruments is by Shen’s Books, an imprint of Lee & Low Books! Gorgeously illustrated by debut artist April Chu, Summoning the Phoenix is a fun and educational read. The nonfictional sidebars share historical facts about Chinese musical instruments while the whimsical art and poetry portray a range of experiences that children feel when playing music: tranquility, stage fright, wonder and joy. The children playing these instruments include an array of ethnic backgrounds because Chinese music can be enjoyed by everyone! Fei Wu Huang recommends Summoning the Phoenix: “This book is sure to entertain the most adventurous of readers and will certainly bring out the curiosity in any individual with hopes of developing a deeper appreciation and understanding for cultural music.” Read the full review at The International Examiner. Tom of Sword & Laser Podcast interviews me at the Nebulas, and I share my pet theory about true, cool of Cinderella. Listen to the podcast here. Sheela of Saffron Tree says that the “poems capture the mood via upbeat free verses” and the “illustrations are breathtaking.” Read the full review at The Saffron Tree. Crystal Brunelle of Reading for Life & Rich in Color describes Summoning the Phoenix as “a blend of modern and ancient.” Read the full review at Reading Through Life. NerdVana Podcast, my friends who were special guests at one of my book release parties, releases two podcasts featuring interviews with me, April Chu, and other friends, plus coverage of our book party presentations and live Chinese music performances. Click on “Summoning the Phoenix at Kepler’s” Pt1 [04/19/2014] #093 to listen to Part 1. Debbi Michiko Florence shines her April Spotlight on Summoning the Phoenix! Comment for a free copy of the book! In honor of National Poetry Month, Emily Kristin Anderson shares my guest blog post “Summoning Li Bai” where I share how Chinese poetry has influenced my writing. Two cool videos: Mark Oshiro aka Mark Does Stuff made wonderful videos of him reading Summoning the Phoenix at Mark Reads! Mary Robinette Kowal showcases one of my poems “Magical Melody” and April Chu’s gorgeous companion art on My Favorite Bit! John Scalzi features Summoning the Phoenix on The Big Idea, where I share how The Big Idea for a picture book originated from research for a novel. Lee & Low announces the publication of Summoning the Phoenix and shares a great video of a girl playing a dizi on The Open Blog! Kirkus Reviews gives Summoning the Phoenix a Starred Review! “…a lively medley that will expand the musical boundaries of most young audiences.” Read the full review at Kirkus. Illustrator April Chu explains her process in illustrating my poem “Painting with Sound” from Summoning the Phoenix. Greg Pincus at Gotta Book publishes a preview of “Painting with Sound,” a poem about the guzheng from Summoning the Phoenix. Althaea Kontis interviews me about my writing process and my book, and I reply in prose and haiku. Illustrator April Chu reveals photos of the proofs from Summoning the Phoenix. Hi Emily! I think the book is stunning! I passed your website along to commissioner Roy Chan, who is going to pass it to the branch manager at the Asian branch of the Oakland Library.